Definition at line 3606 of file commctrl.h. Definition at line 3608 of file commctrl.h. Referenced by TREEVIEW_SendTreeviewDnDNotify(), and TREEVIEW_SendTreeviewNotify(). Definition at line 3607 of file commctrl.h. Referenced by BrsFolder_OnNotify(), msi_dialog_seltree_handler(), TREEVIEW_SendTreeviewDnDNotify(), and TREEVIEW_SendTreeviewNotify(). Definition at line 3610 of file commctrl.h. Referenced by BrsFolder_Treeview_Changed(), BrsFolder_Treeview_Expand(), BrsFolder_Treeview_Rename(), BtrfsDeviceAdd::DeviceAddDlgProc(), hierarchy_dlg_proc(), msi_dialog_seltree_handler(), test_wm_notify(), TREEVIEW_SendTreeviewDnDNotify(), and TREEVIEW_SendTreeviewNotify(). Definition at line 3609 of file commctrl.h. 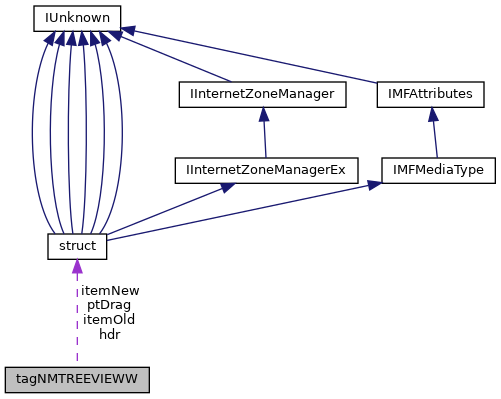 Referenced by BrsFolder_Treeview_Delete(), test_wm_notify(), and TREEVIEW_SendTreeviewNotify(). Definition at line 3611 of file commctrl.h.